BIRDS-2 CubeSats Active over Indonesia pass 13:42 UTC,, All satellite are Active in CW mode on 437.375 MHz. All satellites are created within the framework of the BIRDS-2 program. 11 students from Japan, Bhutan, the Philippines and Malaysia worked at the Kyushu Institute of Technology (KyuTech, Japan). 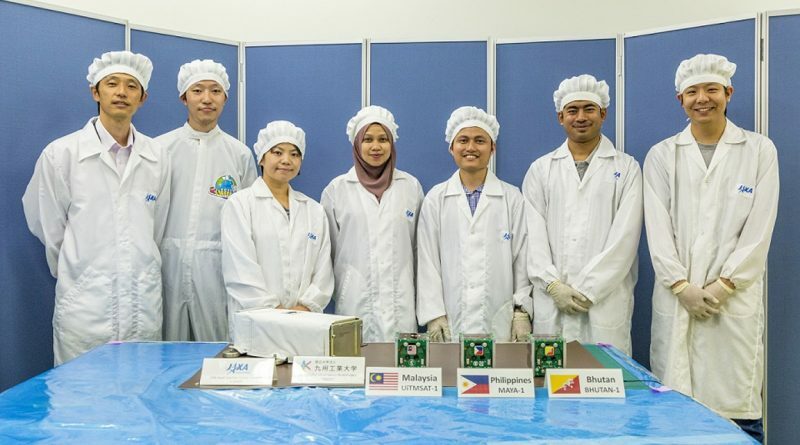 BHUTAN-1, MAYA-1, UiTMSat-1 were delivered aboard the ISS with a cargo vehicle Dragon CRS-15, which started on June 29, 2018 from Cape Canaveral. BHUTAN-1 - 437.375 MHz CW, 145.825 MHz APRS digipeaters. MAYA-1 - 437.375 MHz CW, 145.825 MHz APRS digipeaters. UiTMSat-1 - 437.375 MHz CW, 145.825 MHz APRS digipeaters.